Bored of your swimming pool or simply want to remove it? We will take care of the whole project from beginning to end, ensuring that not only the pool is removed in a safe manner, but also it is filled in appropriately, making it safe to build other structures on top, or simply having it as a free vacant area. 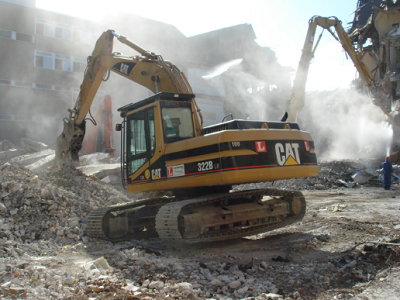 Atlanta Demolition Services not only takes care of demolitions but also makes sure the swimming pools in Atlanta are able to be removed safely in a deconstruction effort. There are many reasons you would want to get rid of it: you may have gotten bored of it, you may not like paying to maintain something you don't find very useful to have at your home, you may need that space...and so many other reasons. In any case, we will come in, give you a free estimate as well as a plan on how it will get done and then it's up to you. We will fill the gigantic whole in the ground that will remain there, using our bulldozers and that's pretty much it. Taking care of such projects has really become a daily routine for us. Ironically, many people are getting rid of their pools these days, so we are well trained and have great experience doing so. Obviously you have a couple of options when it comes to digging your pool out of the ground: you can either have a partial removal or a complete removal of the swimming pool. A complete removal demolition process will obviously cost you more, however it is a safer procedure with smaller complications and risks. During the partial removal, what we would do is basically break the top off the swimming pool and let it fall into the ground. Then we would come in with our excavators and bulldozers and fill that hole up. In complete demolition, every inch of the pool is removed (the tiles, the walls and debris etc) and once that's done, then it is filled with dirt. So you basically have a few different options, to make sure you can afford the deconstruction costs. 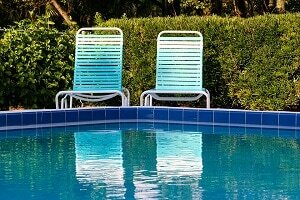 If you are not sure for your specific pool what would be the best option, we can come by your property and review the situation. Depending on the way the swimming pools have been installed, some may only need partial demolition. So if that's the case with yours, we can make sure you don't spend any extra money on demolition work that you don't need. In any case, we will make it a lot easier for you, by giving you the most competitive pricing in the market. We indeed offer the most affordable demolitions in Atlanta, Georgia.